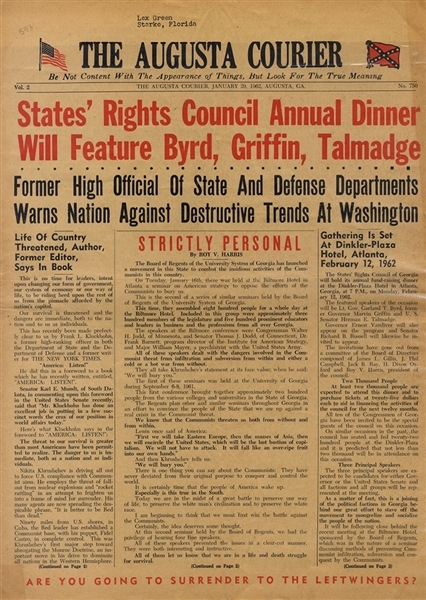 Newspaper “The Augusta Courier” January 29, 1962, Augusta, Georgia, with bold red headline “States’ Rights Council Annual Dinner Will Feature Byrd, Griffin, Talmadge.” The caption printed in red, “Are You Going To Surrender To The Leftwingers?”.4pp. folio, with anti-Left-Wing and anti-Communist articles. Fine condition.